Check out the awesome OWLS video on the RockfordBuzz.com Facebook page. Click here! For any organization, community is everything. No matter what niche a business or organization serves, networking and interacting are ways to get the word out about what one has to offer while locating others who share your interests and goals. Last week, OWLS participated in the inaugural Shoulder2Shoulder event held at Vintage@501 in downtown Rockford. Shoulder2Shoulder is for businesses and anyone interested in networking through social interaction in a casual, friendly atmosphere. The inaugural event had a great turnout and featured a gift basket raffle, Vintage’s awesome food, meet and greet with all types of area business professionals, and free samples of tasty mocktails. OWLS looks forward to participating in the next S2S event. 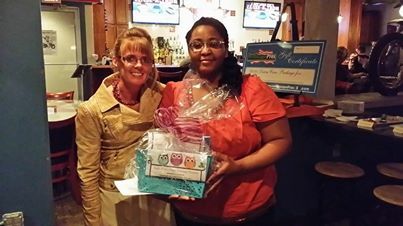 Constance Ellis was the lucky winner of the OWLS raffle basket at S2S.